Most traders who call me to inquire about my course tell me that they know how to trade a butterfly. In fact this is first of the many trades they tell me they know. Strange it seems, but it looks like most Indian retail traders love to trade butterfly. Well frankly butterfly trade is not as easy as it seems and contrary to what many traders believe, it is a trade where some kind of prediction is required. Technically therefore it cannot be considered a non-directional trade. Personally I stay miles away from a trade that needs any kind of prediction. Do not get me wrong – a butterfly trade can be very profitable if the stock behaves the way the trader wants it to, but for that matter which trade does not make money if the view of the trader was right? 3. Buy 1 OTM (out if the money) Call Option for protection. All of the above options should have the same expiry date and of the same stock or index. Note that since 2 options were sold, 2 were also bought for protection. Just like any other trade I explain in my website let me take a live example. Nifty on 12-Aug-2014 closed at 7727. So let me assume that for the next few days until August expiry, Nifty will remain range bound and will expire at around 7700. Total money debit: 10700-8900-2750 = -950. This is the maximum loss this trade can have. Conclusion: The reward though limited in the call butterfly is excellent if the prediction goes well and the stock expires very near the sold options. The risk is less compared to the reward. 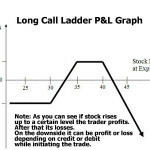 Unfortunately even though the risk-reward ratio is good in a call butterfly trade, the problem with the trade is predicting where the stock will be on the expiry day. As a trader I am extremely averse to trades that need me to predict the direction of the markets. This particular trade needs predicting, so I do not trade butterfly. 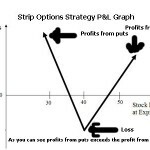 Note that one can also do a put butterfly trade using only the put options and the results will still be similar. But for some strange reasons traders usually trade butterfly using call options. You can rollover the butterfly upwards or downwards as the stock moves, but every time you do it there is a chance of losing money. Therefore rolling over is not a good adjustment to a butterfly. On top of that it will involve eight trades in every adjustment. This is not a good way to trade options. So the best adjustment is to take a stop loss. Now in real world scenario. How many times do you think in a 30-day period a stock or index will be trading in a very tight range? I do not see it doing in any 30 day period. A big movement will come someday or the other and the trader will have no option but to take a stop loss. 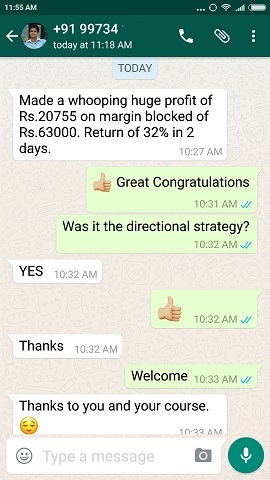 I will go on to say that if you take a stop loss with every 100 point movement in Nifty, then for sure you will take it 100% of the times. You can never make money taking a stop loss or rolling over in this strategy. Then what is the best way to play long call butterfly? Basically a butterfly is a set it and forget it trade. Since risk is very small compared to the reward, a trader can set the butterfly trade and leave it till expiry. You already know your max loss, and if you are comfortable losing that money – just do not adjust. On expiry day if you are lucky, you can make a decent return. That is why the long call butterfly is more a gambling than a trade. Another idea is to play it only on the expiry week. 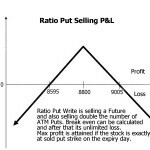 Traders can get some idea on where the stock may expire and those are the options that you may sell. For five days Nifty may be in a very tight range and there are high chances that this trade may be profitable. Note that risk-reward is the same even in the expiry week, so trading this in expiry week makes sense. Talking about butterfly, it involves 4 options. The cost of 4 options is high & i do not know a broker who understandards options to charge reasonable rate plus help monitor the trade. 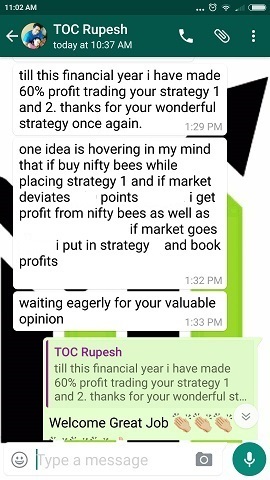 Hence i stick to vertical spreads only.Can you Sir help me in this matter? Hari Sir you are right. Four options are involved and approximately 60,000 is blocked in the trading account . On top of that the prediction should be right of the expiry. So in my view this is difficult trade to trade. Continue with what you are good at. Money should come, the trade itself does not matter. As far as brokers are concerned, they are interested in only one thing – and that is you trade. Whether you lose or make money, they are least bothered. Because lose or win – if you trade they make money. And moreover they do not have the time to monitor the trades of their clients. May be a small broker monitors, but for the big brokers you don’t exist. They have risk management software to monitor the trades. Any trade that is generating losses for them gets triggered and the client gets a margin call. If the client does not deposit the money – the software automatically closes the trade at a particular time or it is done manually. What do you mean by charging reasonable rates? I think you meant the brokerage? There are many discount brokerage companies now in India. Most of them charge Rs. 20 per trade (not per lot) or less. For example Zerodha, RKSV etc. 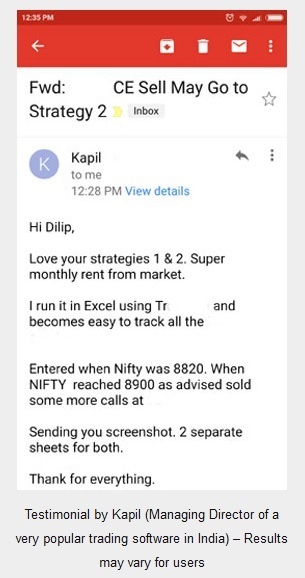 If you are an option trader, you should trade with them else if you are paying Rs. 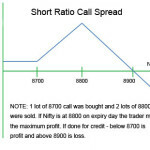 100/- per lot – then making money trading options will get difficult. And you will unnecessary pay more money for the same trade you do at a discount brokerage firm. 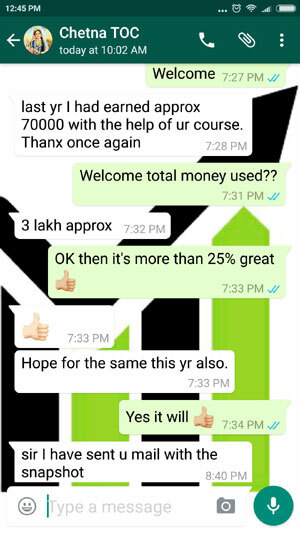 Please do not depend on your broker for trading tips. You are the best person to manage your money. Educate yourself and enjoy the money that comes from trading.